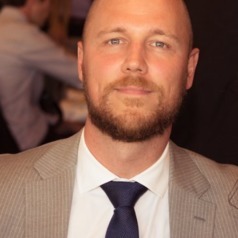 Dr Steven Conway is a Senior Lecturer and Course Director for Games & Interactivity at Swinburne. Dr Conway has presented on many aspects of digital game philosophy, aesthetics and culture, and has had a variety of articles published on these subjects in journals such as Eludamos, Game Studies, the Journal of Gaming & Virtual Worlds, Westminster Papers in Communication & Culture, Sport, Ethics & Philosophy, Analog Game Studies, and ToDiGRA: Transactions of the Digital Games Research Association. He is the co-editor of the first book on the relationship between video games and policy, Video Games Policy: Production, Distribution and Consumption. Dr Conway was awarded a PhD from the University of Bedfordshire, funded by a national AHRC scholarship. His doctorate focused upon the relationship between digital games and the sports-media complex. His research interests include: Philosophy of Play; Sport; Games; Digital Games; online Gaming; Social Gaming; Cultural understanding of games; The relationship between games and media.